“I’m not a National Socialist, but . . .” I have read a few books on Hitler. Since literally thousands of worthless books have been churned out about Der Boss, how does one sift through the massive pile of crap on the hopeful assumption that, “Hey, with all this manure, there must be a pony in here somewhere!”? A “good” biography by my definition is an objective, truthful account, not a comic book fabrication about a lunatic, one-testicled rug chewer, or a thinly-disguised religious fable in which Hitler (= Satan/Nazis/Germans/white people) crucifies 6 million Jews (= God’s chosen people, elbowing the Lord Jesus Christ aside) by fantastic and diabolical means before efficiently employing the grisly remains to manufacture bars of soap and lampshades for the amusement of Hitler and his henchmen, or to lighten the burden of wartime rationing. Hopefully, the book would be well-written and fun to read, as well. If there’s a reliable bibliographical essay along these lines, I am unaware of it. The biography is: Volume 1, Hitler, 1889–1936: Hubris  (London: 1998), and Volume 2, Hitler, 1936–1945: Nemesis  (London: 2000). A single-volume abridgement, Hitler: A Biography  , appeared in 2008. This pattern of two-volume books and abridgements, plus multiple translations, editions and printings of the same book at different times, often with different titles, continually bedevils the researcher. During the so-called Historikerstreit (Historians’ Dispute) in Germany from 1986 to 1989, Kershaw teamed with academic mentor Martin Broszat, an anti-German German, to publicly attack other German historians—Ernst Nolte, Andreas Hillgruber, Michael Stürmer, Joachim Fest and Klaus Hildebrand—as apologists for the German past. One heuristic I use is to reject any book with a ridiculous or patently propagandistic title. Using that guideline, the New York Times did Kershaw no favor when it titled its shallow reviews of his two Hitler volumes “The Devil’s Miracle Man” and “When Depravity Was Contagious,” respectively. Examples of other self-destructive titles are The Psychopathic God: Adolf Hitler  (1977; 1993), Explaining Hitler: The Search for the Origins of His Evil  (1998), Hitler: The Pathology of Evil  (1998), Adolf Hitler: A Chilling Tale of Propaganda as Packaged by Joseph Goebbels. (1999), Adolf Hitler: A Study in Hate  (2001), and Hitler and the Nazi Leaders: A Unique Insight into Evil  (2001). I read Konrad Heiden’s critical Der Fuehrer: Hitler’s Rise to Power  (1944) in high school. Its first chapter, “Protocols of the Wise Men of Zion,” was my introduction to Alfred Rosenberg. I remember being enthralled by the book. Heiden was at least half-Jewish (his mother). He eventually fled Germany and settled in the United States, where he died in 1966. In Hitler’s War  David Irving warns against reliance upon Heiden’s and several other biographies “hitherto accepted as ‘standard’ sources on Hitler” without further elaboration. Another book I read while young is journalist William Shirer’s 1,245-page The Rise and Fall of the Third Reich: A History of Nazi Germany  (1960). It sold more than 2 million copies and won the National Book Award. I read the whole thing, but with nothing like the zest I read Der Fuehrer. Unfortunately, Shirer’s work is empirically and ideologically flawed. Robert Payne, author of The Life and Death of Adolf Hitler  (1973), was a freelance writer, not an academic or journalist. He was enormously prolific. I looked him up in Contemporary Authors and learned that he authored over 110 novels, biographies, and histories. If he began at age 20, he wrote (and published) more than two books per year until he died at age 72. Evidently his pace exacted a price on accuracy. Besides purveying conventional ideological and racial animus, the biography contains glaring factual errors, some very big indeed. Two spurious memoirs frequently cited by mainstream historians are Hermann Rauschning’s Conversations with Hitler (1940) (US title: The Voice of Destruction  ) and Fritz Thyssen’s I Paid Hitler  (1943) (neither of which I own), both published by a Hungarian Jew, Churchill confidant, and world federalist named Emery Reves. Rauschning’s fabricated Conversations with Hitler has been relied upon by William L. Shirer, Robert Payne, Jewish historians Leon Poliakov, Gerhard Weinberg, and Nora Levin, Alan Bullock’s Hitler: A Study in Tyranny  (1952) (the first comprehensive biography, Bullock’s Hitler dominated scholarship for years; it also possesses the kind of title that’s a red flag to me; I do not own it), and Joachim C. Fest’s Hitler  (Germ. 1973, Eng. trans. 1974), among others. For background on this see Mark Weber, “Rauschning’s Phony Conversations With Hitler: An Update ,” Journal of Historical Review (Winter 1985–86), pp. 499 ff. When “serious” biographers rely upon works like Rauschning’s, their books should be approached cautiously, if at all. Fest’s Hitler  , the first major biography since Alan Bullock’s in 1952, and the first ever by a German author, became the bestselling book in Germany upon its publication; the next year it was translated into 17 languages. A prominent German journalist, broadcaster, and anti-Nazi, Fest was one of a troika of Establishment editors who re-wrote, or co-wrote, German armaments minister Albert Speer’s famous memoir, Inside the Third Reich  (Germ. 1969; Eng. trans. 1970). (Speer was imprisoned at Spandau from 1946 to 1966.) The book, a worldwide bestseller, made a fortune for Speer and earned widespread praise for its disavowal of Hitler. According to David Irving , Speer had a secret agreement with his German publisher, Ullstein Verlag, to pay 25% of all royalties and proceeds to the State of Israel. As noted above, Fest fought on the conservative side of Germany’s Historian’s Dispute in the 1980s, denying the “singularity” of the Holocaust (which, however, he believed in). His Wikipedia  entry provides lengthy quotations that strike a contemporary reader as heretical. Finally, a friend kindly gave me his copy of Timothy W. Ryback’s Hitler’s Private Library: The Books That Shaped His Life  (2008), which is both interesting and informative. I’ve often used this valuable reference over the years. It is essentially an elaborate college syllabus. Subdivisions include “European Prehistory, Archaeology, & Folkways,” “European Legend, Myth, and Religion,” “History of Western Civilization,” “Western Art,” and so on. Its 125 carefully-selected titles provide in-depth knowledge and a comprehensive overview of the white race and Western civilization. With the exception of Mein Kampf, only three Hitler biographies are included in Pierce’s catalog, none of them standard ones. Two are: Heinz A. Heinz, Germany’s Hitler  (London: 1934), and Hans Baur (Hitler’s personal pilot), Hitler at My Side  (1986). The third, Otto Wagener’s Hitler–Memoirs of a Confidant  (1985), was written in 1946 when Wagener was a British prisoner. It was not published until many years after his death by the late Yale historian Henry Ashby Turner, Jr. Pierce described the book as “By far the most informative and positive memoir by a confidant of Hitler since August Kubizek’s The Young Hitler I Knew  ” ([German 1953, English 1955], another memoir NV had previously sold). A notable feature of Wagener’s memoir is that, according to historian Gordon Craig’s New York Times review , it strongly emphasizes Hitler’s pro-British views and depicts the Führer as “an ‘unwitting prisoner’ of Göring, Goebbels and Himmler, powerless to prevent his true intentions from being distorted by evil associates for their own criminal purposes”—claims by an eyewitness that parallel David Irving’s controversial views. Though not biographies, strictly speaking, I own 1950s-era drugstore paperback copies of Hitler’s Secret Conversations, 1941–1944  (1953) and Felix Gilbert, ed. and trans., Hitler Directs His War  (1950). I recommend clicking on the preceding link to get a feel for how important it is to understand the provenance and reliability—the evidentiary basis—of even “mainstream” books and texts you might otherwise assume are problem-free. To his credit, Irving is keenly aware of the difficulties posed by mainstream books and official documents housed in archives. They cannot simply be accepted at face value. The Table Talks’ content is more important in my view than Hitler’s Mein Kampf, and possibly even more than his Zweites Buch (1928). It is unadulterated Hitler. He expatiates on virtually every subject under the sun, while his generals and private staff sit patiently and listen, or pretend to listen, to the monologues. Along with Sir Nevile Henderson’s gripping 1940 book Failure of a Mission: Berlin, 1937-1939  , this was one of the first books that I read, as a twelve year old: Table Talk makes for excellent bedtime reading, as each “meal” occupies only two or three pages of print. My original copy, purloined from my twin brother Nicholas, was seized along with the rest of my research library in May 2002. He adds: “Ignore the 1945 ‘transcripts’ published by Hugh Trevor-Roper in the 1950s as Hitler’s Last Testament [The Testament of Adolf Hitler  —Ed. ]—they are fake.” That book purports to be Martin Bormann’s notes on Hitler’s final bunker conversations. Mein Kampf  was originally published in German in two volumes, the first in 1925 and the second in 1927. English translations combine both volumes into one. I read Mein Kampf  thoroughly in 1988, as my well-marked copy indicates. (The fact that it was ’88 is coincidental!) However, the book did not have an impact on me intellectually or emotionally. I wasn’t a national socialist then (much less a National Socialist) and am not one now. Nor do I view Hitler as a quasi-sacred figure. Part of the reason for the book’s lack of effect may be due to the particular translation I purchased. In the original German the book was a runaway bestseller and the source of much of Hitler’s private fortune. Even acknowledging the political factors involved, one cannot dismiss the possibility that it reads better in German than in its English translations. The quality of a translation determines how well a book “travels” from one language to another. Both fidelity to the original (accuracy) and transmission of the spirit or feel are necessary. I have experienced translations that capture the originals marvelously, and others where even classic works appear dead on the page. I bought my copy of Mein Kampf without prior research and ended up purchasing the 1939 Hurst and Blackett translation by James Murphy  . Murphy, a former Irish Catholic priest, was hired by the German government to make the official English translation, but the project was scuttled after a dispute. Murphy continued the translation nevertheless, and it appeared independently in Britain in 1939. I later learned that many English-speaking National Socialists prefer Ralph Manheim’s 1943 Houghton Mifflin translation (which I have not read). It is possible that Manheim better catches the spirit of Hitler’s original, because he was also the translator of Konrad Heiden’s Der Fuehrer which so enthralled me as a boy. “Manheim translation  : Accurate, but marred by anti-Hitler introductions and derogatory footnotes. After Mein Kampf, Hitler wrote what has become known as the Zweites Buch (Second Book) (1928), an extension and elaboration of his foreign policy aims. It also sets forth his views of the Soviet Union, France, Great Britain, and the United States. The book was written to clarify his foreign policy objectives for the German public after the 1928 elections. However, his publisher advised him that, from a sales point of view, the time was not propitious for bringing it out. By 1930 Hitler had decided that it revealed too much about his intentions, so it was never published. In 1935 it was locked away at his order in a safe inside an air raid shelter. There it remained until the fall of Germany in 1945, when it was discovered by the American invaders. Its authenticity was reportedly vouched for by Josef Berg and Telford Taylor. In 1958 the manuscript of the Zweites Buch, having again fallen into obscurity, was rediscovered in American archives by Jewish historian Gerhard Weinberg. Weinberg, whose family left Germany for the United States in 1938, is the author of numerous anti-German academic books and articles and a vigorous Holocaust promoter. He is Shapiro Senior Scholar in Residence at the U.S. Holocaust Memorial Museum. Weinberg strongly supported the ethnic cleansing of Germans from Eastern Europe after WWII, which resulted in an enormous number of white deaths. An authoritative English edition did not appear until 40 years later: Gerhard L. Weinberg, ed., Hitler’s Second Book: The Unpublished Sequel to Mein Kampf  (New York: Enigma Books, 2003). Because I had never heard of this book until 2003, I thought the whole story a bit strange. It is unclear how many scholars apart from Weinberg have examined the original manuscript, or what methods of authentication were used. However, David Irving sold the 2003 edition at one of his lectures, and has indicated at least implicitly on several occasions (some quoted here) that he accepts the book as genuine. David Irving’s Hitler’s War is interesting on several levels. An independent, non-academic historian, Irving has been victimized to an unimaginable degree over many decades by the Jewish power structure, including a global panoply of government agencies, apparatchiks, courts, police, and academic and media shills eternally at its beck and call. His suffering is mind-numbing proof of the bizarre, Orwellian world we live in. Blacklisted and bankrupted, his personal prosperity and former high reputation are in ruins. His book, as usual, is long: 985 pages (2002 ed. ), and again there is the thorny problem of multiple volumes and editions of a single biography floating around. Hitler’s War was first published in 1977, and its prequel, The War Path, in 1978. In 1991 a revised 1-volume edition incorporating both books was issued as Hitler’s War. In 2002, a revised “Millennium Edition” was published under the title Hitler’s War and the War Path  , incorporating the latest documents from American, British, and former Soviet archives. This is the one I own. In an introductory Note Irving states that in the Millennium Edition he has not revised his earlier views, but merely refined the narrative and reinforced the documentary basis of his former assertions. Famed for working almost exclusively from official archival documents, diaries, private letters, and other original source material, his method has the downside of somewhat impeding smooth narrative flow. However, this is compensated for by the rich source material. I have dipped into Mein Kampf but never read it: it was written only partly by Hitler, and that is the problem. More important are Hitlers Zweites Buch, (1928) which he wrote in his own hand; and Hitler’s Table Talk, daily memoranda which first Heinrich Heim (Martin Bormann’s adjutant, whom I interviewed) and then Henry Picker wrote down at his table side, and the similar table talks recorded by Werner Koeppen (which I was the first to exploit, in Hitler’s War). In his introduction, notes, and on his website, Irving reveals the care necessary in dealing with even supposedly reliable documentary materials, never mind historians’ work (which he typically ignores). German memoirs, for example, have been extensively tampered with by publishers, Allied authorities, and others. When using them Irving attempts to work from the original typescripts rather than published texts. Even documents contained in government archives have been altered, removed, or otherwise manipulated. His many discussions about such issues are highly instructive. Irving is not a “Holocaust denier” as Jews claim, though he does not believe in every jot and tittle of their religious narrative as everyone else does. One of Irving’s most controversial claims is that “antisemitism” in Germany was “a powerful vote catching force,” “an evil steed” that Hitler had no compunction in riding to the chancellorship in 1933. But once in power, “he dismounted and paid only lip service to that part of his Party’s creed.” The “evil gangsters” under him, however—Heinrich Himmler, Reinhard Heydrich, and Joseph Goebbels—continued to ride it even when Hitler dictated differently. Although Irving maintains that a Jewish Holocaust of sorts did occur (unfortunately, he is exceedingly vague, evasive, and even contradictory about its details, and denies any interest in it), he says that Hitler’s evil henchmen dreamed it up and carried it out entirely without Hitler’s knowledge or approval. Thus, while Irving is a Hitlerphile, he is extremely harsh toward “bad guys” like Himmler (in particular), Heydrich, and Goebbels. The reader may perhaps see how Irving’s central thesis is hard to . . . accept. Irving has published a critical biography of Goebbels and is currently working on one about Himmler. 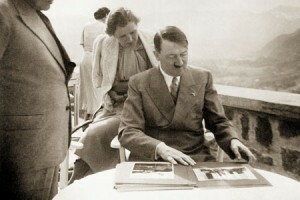 Himmler’s elderly daughter Gudrun has publicly expressed her fear that Irving will perform a hatchet job on her father in an attempt to salvage his (Irving’s) reputation. This suggests possible great autonomy on the part of Himmler and others, at least after the inception of the war. Irving, however, tends to emphasize disloyalty, deceit, and manipulation by Himmler and others rather than Hitler’s isolation or distraction. Still, as previously noted, Otto Wagener’s Hitler: Memoirs of a Confidant also presents a picture of Hitler’s relationship to his top lieutenants even in the early days of the regime that is similar to Irving’s. The most important thing to note is that Hitler’s War is not a biography per se, but a military history of WWII from Hitler’s perspective. My primary interest, however, apart from biography, is the racial, political, philosophical, and social aspects of Hitler’s Germany rather than the conduct of the war. La Crosse, Wisconsin-born John W. Toland is another independent scholar who wrote a major biography of Hitler: Adolf Hitler: The Definitive Biography  . Something of an intellectual renegade in his later years, he managed to stay beneath the radar screen of controversy. His books remain popular and highly regarded. Toland’s mildly controversial Infamy: Pearl Harbor and Its Aftermath  (1982) offered a quasi-revisionist view of the Roosevelt Administration’s scapegoating of the Pearl Harbor commanders and subsequent cover-up. The Pearl Harbor book led to Toland’s association with the Holocaust revisionist Institute for Historical Review (IHR), at whose meeting he spoke . When I learned of the torching of the office-warehouse of the Institute for Historical Review I was shocked. And when I heard no condemnation of this act of terrorism on television and read no protests in the editorial pages of our leading newspapers or from the halls of academia, I was dismayed and incensed. Where are those defenders of democracy who over the years have so vigorously protested the burning of books by Hitler? Are they only summer soldiers of democracy, selective in their outrage? I call on all true believers in democracy to join me in public denunciation of the recent burning of books in Torrance, California. 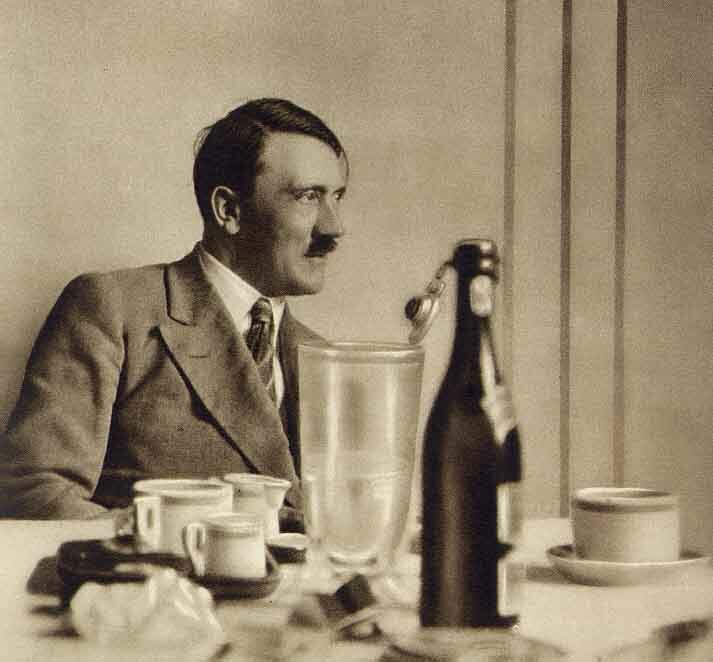 Toland’s Adolf Hitler was based upon a great deal of original research, including previously unpublished documents, diaries, notes, photographs, and interviews with Hitler’s colleagues and associates. I have had difficulty identifying a good copy of the biography for sale on Amazon due to the headache of multiple editions and reprints I mentioned earlier. As near as I can determine, the initial publication was Adolf Hitler, 2 vols. (Garden City, New York: Doubleday, 1976). However, sellers often list it for sale on Amazon while really having only one volume (which one is usually undeterminable) in stock. On the other hand, one seller informed me that he checked his 1976 edition in the warehouse, and it appeared to be a complete book in one volume. My impression is that the reprint (I assume it is unrevised), Adolf Hitler: The Definitive Biography (Doubleday, 1992), is the same book in a single volume. Toland’s biography was well-received by both reviewers and the public. In his autobiography Toland wrote that he earned little money from his Pulitzer Prize-winning The Rising Sun, but was set for life thanks to the earnings from Adolf Hitler. I’m sometimes asked which biography of Hitler I think is best, or which I recommend. In my view, the best single biography of Hitler, and the one I most often recommend, is the one by John Toland, Adolf Hitler. 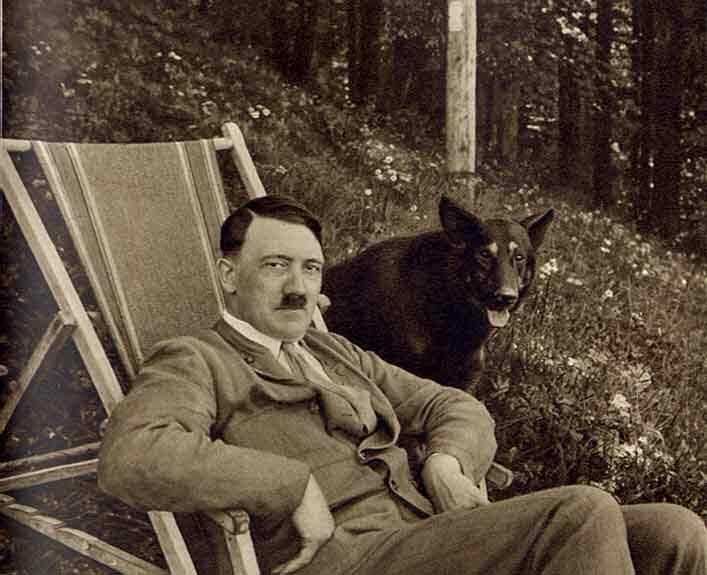 It’s especially good in helping the reader to understand Hitler’s personality and outlook. Kershaw’s biography is detailed, but it’s also very slanted and leaves out a lot. It would be a mistake to assume that Weber’s recommendation is the result of Toland’s brief connection with the IHR. 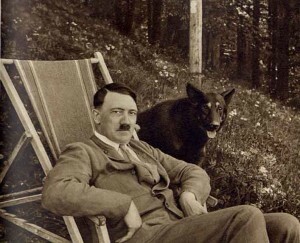 Adolf Hitler was written several years before that relationship developed. Moreover, in 1977, when David Irving offered a thousand pound reward to anyone who could produce a single wartime document showing that Hitler knew anything about the Holocaust, Toland published an emotional appeal in Der Spiegel urging his fellow historians to refute Irving. It is unlikely that Toland’s book is “pro-Hitler.” Certainly, reviewers have not attacked it as such. I guess I’ll go with Toland’s biography, evidently the most objective, despite owning several others instead. Although I’ve only scratched the surface, it is apparent that enormous effort is required to merely survey the field before diving in to actually get a handle on The Most Evil Man Who Ever Lived. And what is the likely outcome of such an effort?